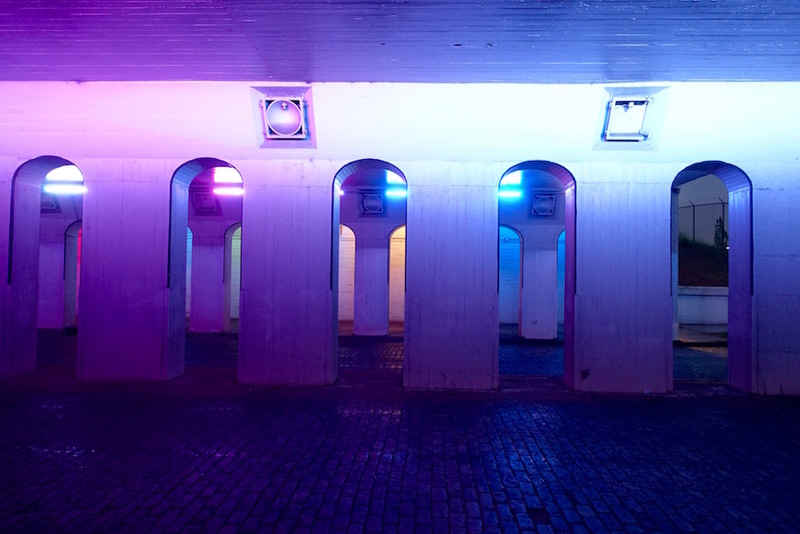 How do you make a dark underpass less intimidating? Light it up like a damn rainbow. LightRails, a.k.a. 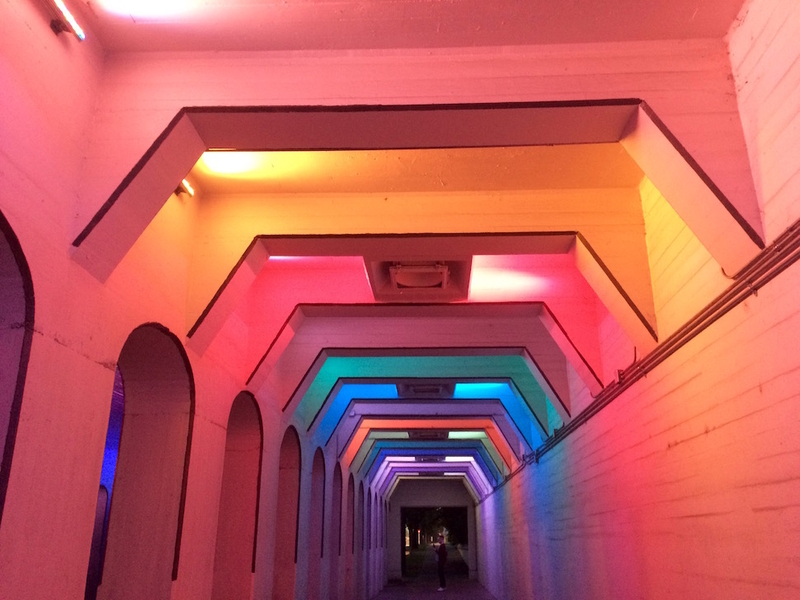 “The Color Tunnel,” is an installation underneath the old 18th Street viaduct near Railroad Park in Birmingham, AL. Designed by artist Bill FitzGibbons, the piece comprises thousands of colorful LED lights programmable in more than 16 million color combinations. 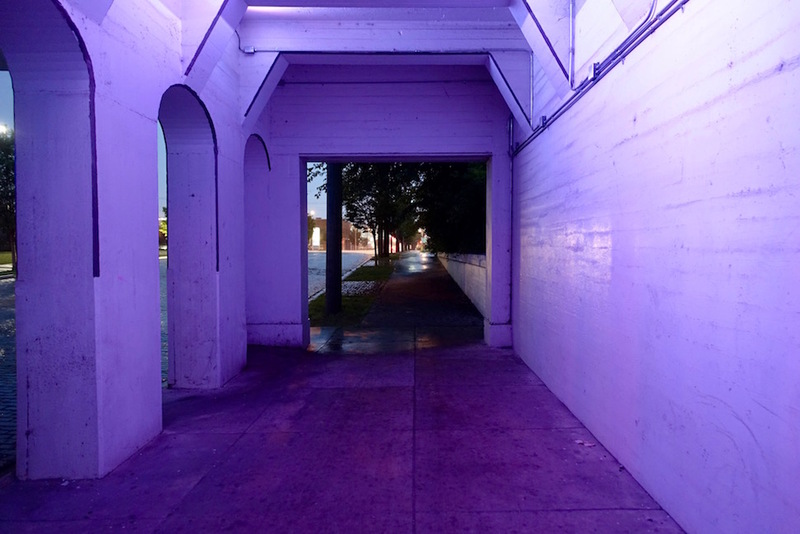 The installation’s 2013 unveiling was part of an ongoing REV Birmingham revitalization project; color tunnels now exist on both the north and south ends of the park, as well as in FitzGibbons’ hometown of San Antonio, TX. For real—you’ve never wanted to hang out under a bridge at night more than you will after getting an eyeful of these pieces. Public works FTW! 99 14th St. S., Birmingham, AL; no phone.